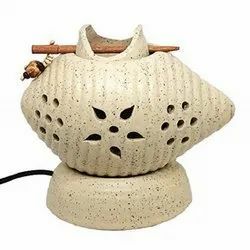 Our product range includes a wide range of galaxy aroma diffuser, square boodi aroma diffuser, bodhi diffuser, buddha diffuser, shank diffuser and electric diffuser. 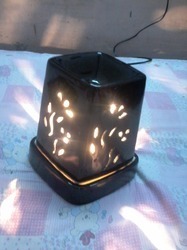 Galaxy Aroma Diffusser used for small area of 200 sq feet like clinic, spa room bed room office the burning period is 5 hours available in white colour and with 1 meter wire with a bulb holder. 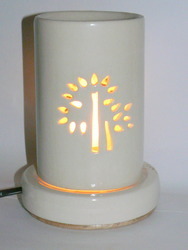 Electical Bodhi Diffusser ceramic burning 8 to 9 hours with 1meter wire with holder and bulb used in spa office resturant and clinic. 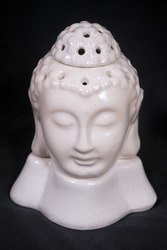 Buddha Diffusser use in spa reception area its 11 inches in height made of ceramic with shoulder base look. Prominent & Leading Manufacturer from Bengaluru, we offer Round Shape Aroma Vaporizer, Matki Aroma Diffuser, Bowl Aroma Vaporizer, Shank Diffuser Aroma Vaporizer, Budha Shape Aroma Diffuser and Square Aroma Diffuser. 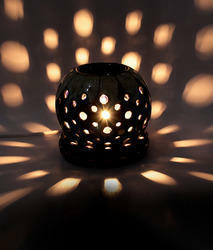 Looking for Ceramic Diffuser ?